Add a convenient storage bin to the LearnFit® Desk. 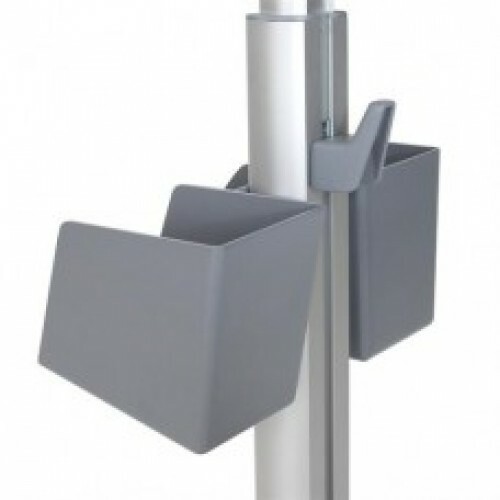 It’s perfectly sized for notebooks and folders, and can be installed at different heights on the desk’s column. This bin is also compatible StyleView® SV10 Carts.